Summer. The season brings breaks for vacation, fun with family and friends, and lots of time outdoors. After a long day outside playing volleyball, visiting the beach, or swimming in the ocean, nothing sounds more inviting than walking into an air-conditioned home. Sometimes, though, air conditioners don’t work. They either don’t blow out enough cool air or they stop functioning altogether. If you’ve found yourself in this situation, get in touch with the professionals at Action Air of Florida. We’ll send a technician to your Central FL home and perform air conditioning repairs as quickly as possible. We’ll also look for leaks and see if your air conditioner is low on refrigerant. If your air conditioner is too damaged or too old, we’ll recommend air conditioner replacement so you can still enjoy cold indoor air. 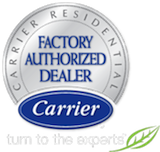 We’ll provide you with a list of name-brand air conditioners that you can choose from. Since 1990, we’ve served residents in Orlando, FL and the surrounding cities. No matter why you need our assistance, you can depend on our loyal, professional technicians. We’ll help you with any air conditioning need you have and even offer free estimates for our services. And, we never charge for overtime, so you can receive our services for a reasonable price. Take advantage of cool air in your home. Call our technicians at (407) 521-0400 to schedule air conditioning repair services for your Central FL home today.